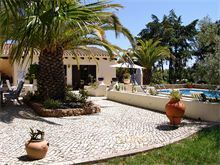 This 100 year old Portuguese farmhouse is set in its own green oasis in the middle of the popular Quinta do Paraiso development in Carvoeiro, within walking distance from the village centre and beach, making Casa Erica perfect for those who don’t want to totally rely on a car. 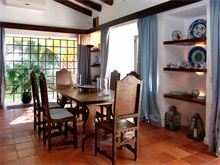 Having been carefully restored the property retains many of its original features yet has a well equipped modern kitchen and offers plenty of space and comfort for 6 people with two of the bedrooms and living area benefiting from air conditioning. The large open plan living/dining room has two separate sitting areas with an open fire place and TV. The dining area opens out on to the pool terrace, with outdoor seating overlooking the walled pool area which is gated for added safety. The mature grounds offer complete privacy with mature palms and shrubs. 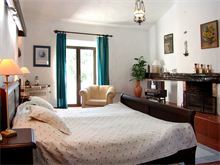 Approximately 1km from Carvoeiro centre and beach and 300m from local shop and restaurants. Steps up to the entrance hall with guest cloakroom, hall way leading to spacious air conditioned living area with two separate seating areas, fire place, TV, CD player and dining area. Hall also leads to modern kitchen with gas hob, electric oven, dishwasher, separate utility room with side by side fridge freezer, washing machine. 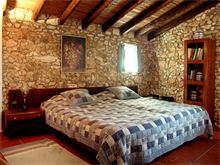 Bedroom with twin mattresses on double base, further twin bedroom with doors to pool terrace and air conditioning, both sharing a shower room, master double bedroom with air conditioning and open fireplace, doors to pool terrace and shower room en suite. Maid service once per week. Air conditioning available throughout. Wi-Fi is available at extra cost, if required. Beautiful villa. With everything you need & more! 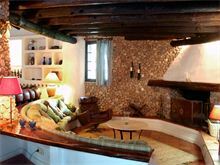 Casa Erica is a perfectly located relaxed comfortable home from home in Carvoeiro within easy walking distance to all amenities. What a truly fantastic villa, it was huge!! 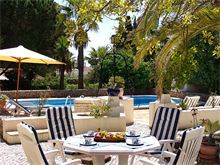 Very well equipped, had a fantastic pool, large outdoor eating area, super bedrooms with comfy beds and a massive lounge area. It is a 15 minute walk into the heart of Carvoeiro or only a 5 Euro taxi ride. We would definitely visit again and would highly recommend Affinity Villas. Charming, spacious and characterful old building with fantastic modern facilities - fully equipped kitchen, utility room, super showers! We enjoyed a lovely two week holiday in a beautiful setting! The villa was absolutely perfect for our needs. 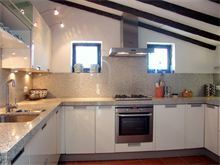 It was extremely homely, very spacious and wanted for nothing in respect of contents. We had a wonderful week with our 9 month old grandson to which the ambience of the villa contributed immensely. 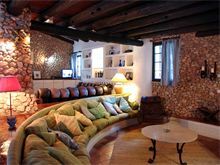 I would certainly recommend this excellent villa and could quite easily spend more time there. First Class. A fantastic villa, which the photos don’t do justice to in terms of it’s size. All well presented and maintained and the pool was excellent. 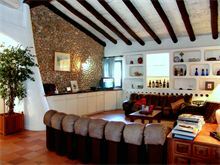 Excellent Villa with all necessary comforts provided, there was everything we could possibly need. We would definitely re visit. 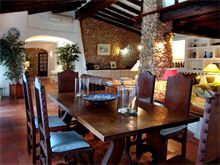 Superb villa with loads of space and real character. 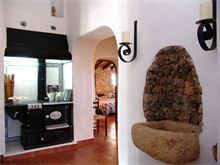 Lovely garden, open fire, great pool, great location and highly recommended! 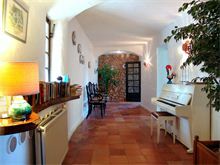 Casa Erica is a beautiful, spacious villa with a lovely private garden and a fabulous pool. Fantastic supply of equipment for cooking and storing food. Would I stay again? Yes it was great. The villa was absolutely fabulous. It definitely had the wow factor when walking in. We all could not believe the size of it! Had the best holiday ever. We made use of the open fire in the lounge in the evenings as it was not super hot when we where there so thought it would be a lovely thing to do, and it was! Although yes it was around 20 - 22 degrees in the day still, the evenings got a tad chilly (great excuse for the fire to be lit) Table tennis table got a lot of us, my kids loved it. Even though the pool in my opinion was really really cold, the kids were in it every day! All in all an absolutely wonderful week away. None of us wanted to leave. Casa Erica was the best holiday villa/home we have been to. Location was good for beach and village. Swimming pool was good, gated as we had a toddler. Villa was in a nice area with good facilities nearby. Had an excellent holiday at Casa Erica the only problem was it was only a week. Affinity villas were brilliant to deal with and very efficient. Villa was very clean and had absolutely everything you could ever need. 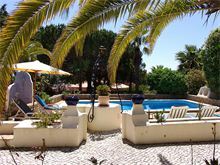 Children thoroughly enjoyed the pool and the villa manager Ruth was very friendly and helpful. We would definitely go back to this villa and book it through Affinity villas again, Fantastic holiday!! 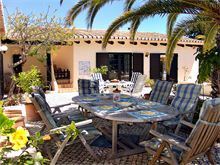 We had an amazing time in Casa Erica, my sons first holiday, it was a lovely villa and your company has been very professional and easy to deal with, we will be booking with you again. Casa Erica was amazing, from the moment we stepped into the villa we felt very relaxed. The villa had everything you could want. The pool was very relaxing, my 2 year old loved it. The location was perfect. With a short walk into the main village and beach. We would definitely look to book this villa again next year. What a unique and well equipped holiday home. Thoroughly enjoyed our visit to Casa Erica. In a lovely location and would recommend without hesitation. Enjoy! What a fantastic villa Casa Erica was. So well equipped, clean and comfortable. 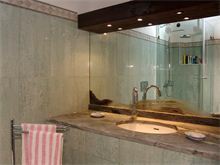 It has real character and interesting features but had modern facilities, everything you could possibly need. What a great villa! Nice to stay somewhere with real character, certainly one of a kind. 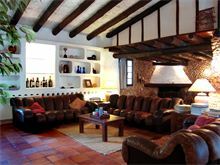 Tempted to visit in winter just to see a fire in the large fireplace in the lounge! 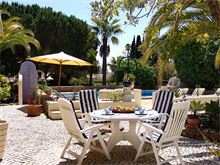 Very spacious villa, extremely well-equipped and with plenty of character about 15-20 mins walk from Carvoeiro town centre. As always the town is busy, very family oriented with plentiful bars and restaurants but smaller and not as commercialized as Albuferia or Lagos. Would definitely recommend a car if you intend to get out and about beyond Carvoeiro. 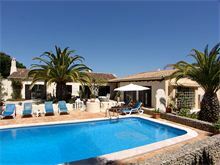 The villa was exactly as described on the Affinity Villas website. This is the second time we stayed at the same villa and we will be back again.